John Anthony Fransik, 92 formerly of Dearborn, Michigan, passed away on July the 5th, 2018. John was born January the 6th, 1926 in Rochester, Pennsylvania to parents Anthony and Anna Fransik, who proceeded him in death. He was also preceded in death by his siblings; Elizabeth Hanlon, Carol Devlin, and Anna Stettler, and is survived by Evelyn Wallace, Joseph Fransik, and Barbara Cetnar. John proudly served his country by enlisting in the Military during World War II. He joined the U.S. Army in 1944, and completed his basic training in Chicago, Illinois where he also received his certification to become a Radar Technician. He served until 1946, and gained the rank of Sergeant under the assignment of the 9222ND TSU TC ENL SHIP COMP. During his tenor, he was awarded The Good Conduct Medal, The Meritorious Unit Award, The Victory Medal, and The American Theater Ribbon. 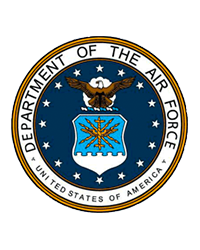 Upon his Honorable Discharge, he remained dedicated to the Military, by joining the Air Force Reserve of the Army from 1946 to 1950. He pursued his education by taking college classes in Chicago, Illinois until he became gainfully employed from 1948- 1950 as a Press Operator for The DeSoto division of The Chrysler Corporation in Detroit, Michigan. In 1950 during the Korean War, he chose to re-enlist into the United States Air Force. He was a Radar Mechanic/Crewman until being honorably discharged in 1952. Returning to Chrysler, he became an Engineer for the Automotive Company, where he worked 32 years as a Materials Handler until he retired at the age of 55. In 1959 at the age of 33, John met his bride, Joann Jacqueline Kowalsky, who he is survived by. They were married on June 4th, 1960 and made Dearborn, Michigan their home. They shared the last 58 years together. John was the very proud Father of four children, David (Teresa) Fransik, Nancy (Ray) Fassbender, Michael (Linda) Fransik, and Ronald (Regina) Fransik. He was a loving Grandfather to Lori (Ryan) Culloty, Jamie (Lee) Garrison, Jessie Herzfeld, Taylor Carruth, Emily Fassbender, Adam Fassbender, Eric Fassbender, Jordan Fransik, and Marissa Fransik. 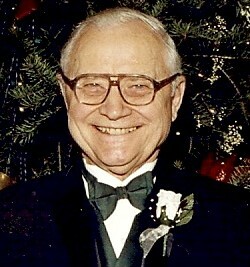 He was a cherished Great Grandfather of Gavin Culloty, Abbey Culloty, Miles Garrison, and Dylan Garrison. John played the accordion, and enjoyed dancing and golfing in his earlier years. John was also an avid bowler and played on countless leagues in Dearborn throughout his lifetime. He was a jack of all trades who could fix anything from plumbing, to electrical and engines. He enjoyed watching baseball games and was a loyal Detroit Tiger fan. He was beyond talented in woodworking, and brought so many smiles to those who were blessed with one of his handmade cars, trucks, chairs, cradles, jewelry boxes or birdhouses. He was loved by many and will be missed by all who knew him. Visitation for John will be held Sunday, July 8, 2018 from 3:00 - 7:00 PM and on Monday, July 9, 2018 from 10:00 - 11:00 AM. The Funeral Service for John will be held Monday, July 9, 2018 at 11:00 AM at Manns Family Funeral Home, 17000 Middlebelt, Livonia 48154.